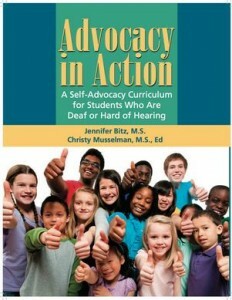 Achieving true independence and self-advocacy is a journey for students with hearing loss. What is challenging? One aspect of that journey is becoming aware of situations that result in communication challenges. 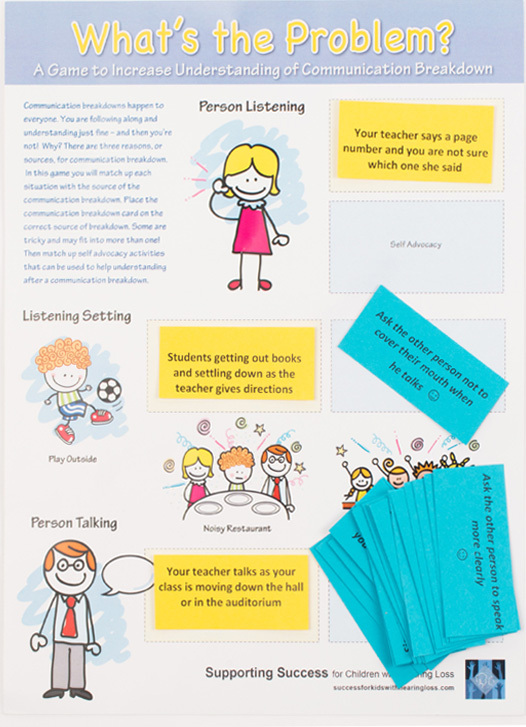 The new Listening Inventory For Education – Revised was developed to assist students in identifying their many challenging listening situations in school. Why is it challenging? Another part of the journey is recognizing what the problem is behind the listening challeng. This increases the student’s awareness of that he may be missing information. 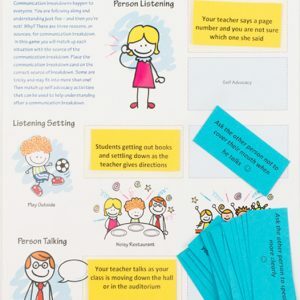 It also serves to help the student predict when listening challenges may occur so that he can be prepared to self-advocate or use communication repair strategies. What can you do? The game What’s the Problem? 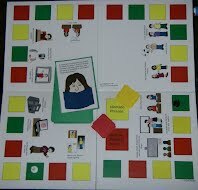 consists of a game board, 48 situation cards and 48 strategy cards. There are 24 school challenges and 24 social/community challenges. 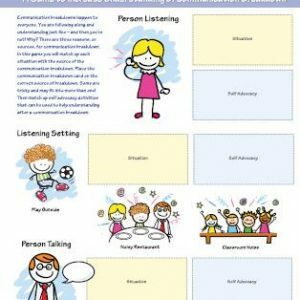 Students identify if the listening challenge is due to the person listening (hearing loss), the person talking, or the listening setting. These situations are then paired with one or more strategies to address the problem and can be the basis for extensive role-playing and discussions about fitting in, being responsible, and becoming an assertive communicator. Simple, Fast, Powerful – and Inexpensive! Note: In purchasing the downloadable version of this game you are agreeing to abide by the terms of a limited use license, meaning it is only for use by you with your caseload. It is not legal to share downloaded files for others to use. Start with teaching how to predict when challenges may occur, even if the student hasnot been aware that he has been missing information. Build a knowledge base of ways to anticipate, control or respond to challenging situations. Respond to emerging challenges in the classroom or socially by supporting student learning in why there is a problem and how he or she could respond. Use the situation and strategy cards in various ways (Concentration, Go Fish) for targeted learning in a few minutes of fun. Take advantage of the situations/strategies to discuss how it makes the student feel when situations happen and how his classmates view him as a communicator (passive? assertive?) and potential communication partner. As situations and strategies are matched, take the opportunity to role-play and practice appropriate language to use to request clarification or respond to challenges. The content of What’s the Problem? complements the Rule the School and Monkey Talk self-advocacy games in building knowledge about self-advocacy in a fun way! Instructions on how to use the What’s the Problem? materials with one child/student or two or more people/students. An example IEP goal and three objectives based on the common core standards have been provided. Using Your Communication Repair Strategies at School – delineates questions for students to ask themselves when they know that they missed information. This can be a bridge between being aware of situations and figuring out when it is important to act. 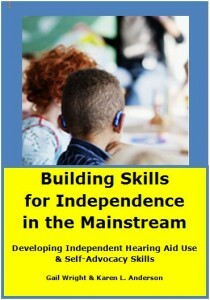 What YOU Can Do to Help Yourself – Self-Advocacy Strategies is a colorful ‘menu’ describing the basic strategies. It is helpful to refer to in discussions and role-playing. 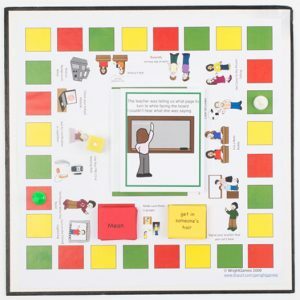 QUIZ – What Can YOU Do to Help Yourself – Self-Advocacy Strategies is a companion to the ‘menu’ and designed to be used as a pre-test/post-test to demonstrate baseline knowledge and subsequent growth. All contained in a study Poly Booklet Envelope to protect the game materials for years. The protective envelope is large enough for you to add other materials to further enhance your self-advocacy work with students (i.e., some of the Rule the School games will fit too! ).